I made some great cushion covers (for the bed or lounge) for my friend to celebrate her engagement... YAY for her! But I can't find the proof! 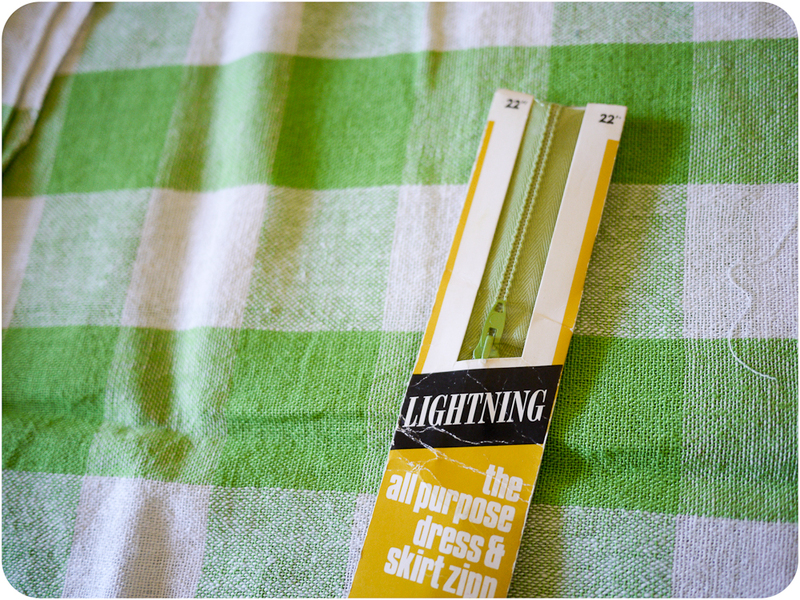 All I have is this darling little photo showing you that I used a vintage zip, and cutie vintage tablecloth material. I'll have to visit my friends and sneakily snap a photo of their engagement present! The cushions were square, but instead of sew up two squares and sneakily sew the zipper into the 'top of the pocket'... I used a really long rectangle... sewed up one short end of the rectangle to the zipper, overstitched it. Then did the same on the other short end of the rectangle, and then had a big long 'ring' of material looping from the zipper... then, with the fabric right sides together, I position the zipper (face down) in the middle of the square... so it's a horizontal (or vertical I guess whichever way you look) line cutting the square into two. Then you sew up the sides (as the ring bits form the other sides) and it means you have a super clean edge (once you flip it out right sides) with the zipper. Neato! It kinda is how I did mine, but with a zipper. This week's theme is Stash Busting for the Sew Weekly! I'd like to pay homage to Zoe for this one, who in my opinion called for Stash Busters to unite. I'd never even considered my fabric collection a 'stash' and realised that I had joined the many who keep fabric and touch it sometimes. 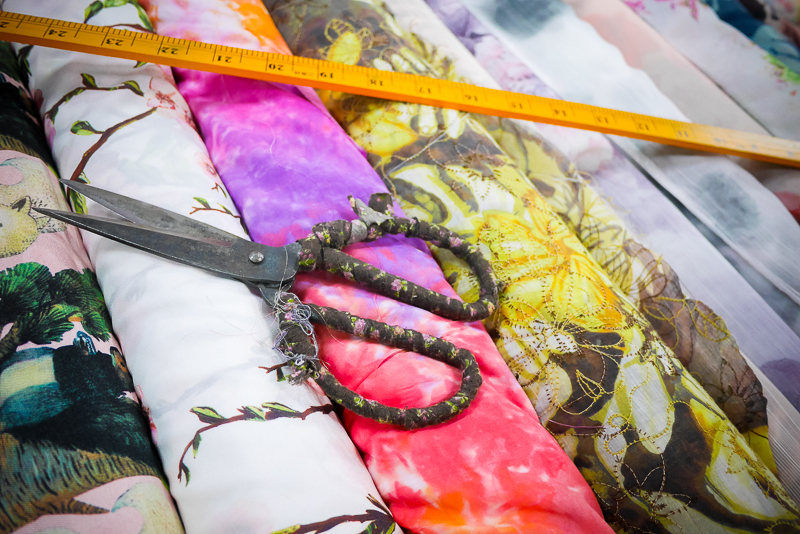 This Stash Busting exercise also includes patterns, so I'm really keen to desize my collection, so I'm going to go for the not so obvious choices in fabric and patterns. That fabric is really cute. Re your comment: I can see you're a petite lady from your pictures, but even a girl of your stature would be in danger of bumping her head on those doors! Thanks for the tip on the photos, and I can't wait to see your next creation! Hi Veronica, That was a great idea using the tablecloth to make a cushion. I have a few that I've bought just because they were too pretty too leave behind but I don't really use tablecloths! I thought you might like to take a look at the tutorial I did on inserting a zipper into a cushion, I did mine in one of the edge seams. It's here if you're interested. That was a really useful explanantion of how to make cushions, sounds much easier and cleaner than the method I've used before. And thanks for the props! Unite!! !